UT women’s tennis fell short to No. 3 Barry University (BU) with a final score of (8-1) on Saturday, March 25, at the Naimoli & Young Family Tennis Complex. Prior to this match-up, the Spartans’ strategy was to start off strong with the doubles because of the solid players UT has at each of the three double positions, DuFaux said. The Spartans lost five of their six single match-ups to the Buccaneers. Sophomore Danielle Beyes was the only UT player to defeat her opponent (6-4, 4-6, 11-9) in the last single matchup of the day. The No. 1 for the Spartans lineup, Lozo, lost in a close head-to-head matchup against No. 1 Barry’s sophomore Zuza Maciejewska (6-4, 6-4). 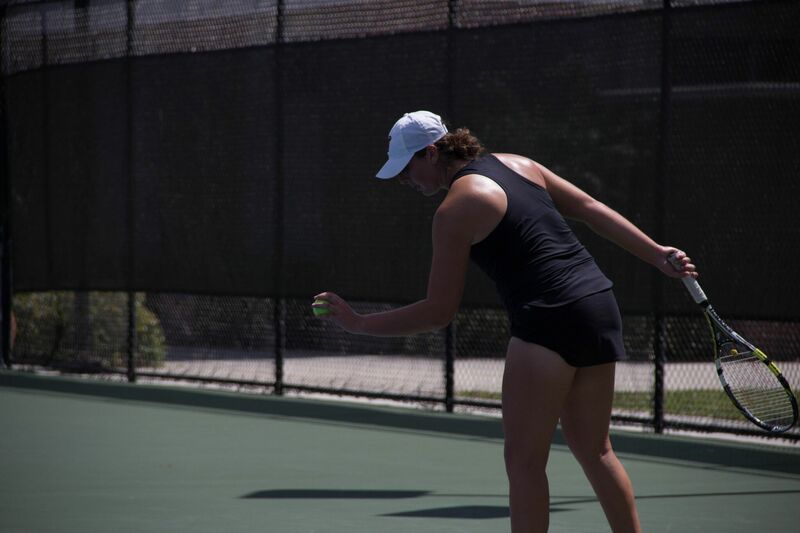 Also, the second single match-up featured by junior Emily Hewland and BU senior Isabel Rapisarda was for the Buccaneers with a score of 6-0, 6-1. In the third single, BU junior Sonja Larsen defeated UT freshman Lilley Nice (6-1, 6-3), while UT sophomore Maddie Stephens also lost to BU sophomore Verena Schmid in a tough battle (7-5, 6-3) for the fourth one. Also, in the fifth single individual game, BU senior Karina Goia beat UT freshman Ada Sowell 6-3, 6,1. On the doubles side, The Spartans were unable to pull up a victory against the Buccaneers, losing 3-0 overall. UT’s first double event formed by Lozo and Hewland fell short to the buccaneers’ pair formed by Maciejewska and Schmid with a score of 8-0. The second match-up of the day was also a victory from BU senior Ana Pain paired up with Larsen, who defeated the pair of Spartans Nice and Stephens, 8-4. Also, for the third double encounter, BU’s double formed by Rapisarda and freshman Dasha Salnikova defeated the pair of Spartans, Beyes, and Sowell, with an 8-0 final score. In the overall series, the record of Tampa against Barry is 0-22 for the Buccaneers. Barry University is currently undefeated with an overall 17-0 record and 5-0 in the Sunshine State Conference (SSC). On the other hand, UT is now in the fifth spot in the SSC with a 6-4 overall record and 2-3. Even though the Spartans have a young team, with two freshmen, three sophomores and one junior in the starting lineup, they started their season strong. Prior to this game, the Spartans had only lost four games with a tight score 5-4, DuFaux said. “We are having a good season,” DuFaux said. “We had a loss to Florida Southern who is No. 25 by a score of 5-4.” UT beat No. 15 Nova Southeastern University with a score of 5-4, while also defeating No. 36 Embry-Riddle University (6-3). UT’s depth on the team has been a key to their success this season so far as well as being loud to keep the energy high during the games, sophomore Caroline Lozo said. Another of the strengths of Tampa’s team is in the middle of the lineup at the number three, four and five positions, Du Faux said. Despite the loss, the Spartans are ready to bounce back on Monday, March 27, with a matchup against University of Puerto Rico at the 3:00 p.m., at the Naimoli & Young Family Tennis Complex.